We are one of the well-known manufacturers and suppliers of Fluoride Removal Unit. The offered fluoride removal unit is specially designed to remove the fluoride ions from water. 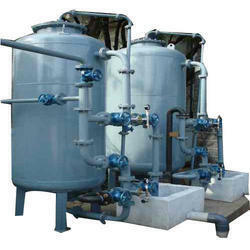 Our supplied fluoride removal unit employs the adsorption technology for water filtration. The offered fluoride removal unit is equipped with an activated carbon filter and adsorption media. Our supplied fluoride removal unit is available at very competitive market rates. Indirectly stops germ entry in the body. Looking for Fluoride Removal Unit ?